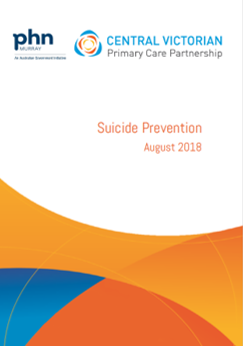 The Mount Alexander Suicide Prevention Project Steering Group provides support, guidance and oversight of the Mount Alexander Suicide Prevention – A systems approach project. 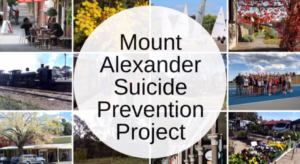 The Mount Alexander Suicide Response Group is to provide a coordinated and effective response to family, friends and colleagues following a suicide and minimise the risk of contagion within the Mount Alexander community. Consists of organisations that provide services within the Mount Alexander Shire and are committed to supporting the community members impacted by suicide events. See Terms of Reference. 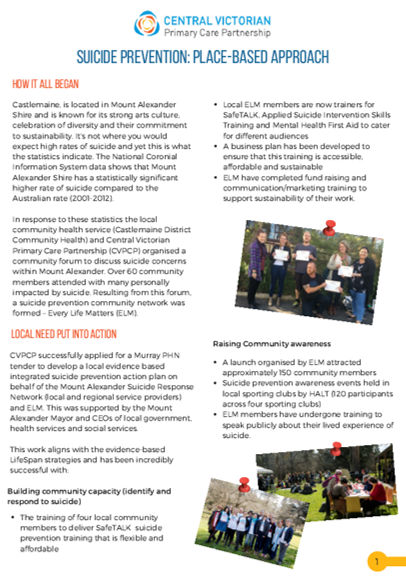 Mount Alexander Suicide Pathways to Care workshop – facilitated by Standby, lifeline.